Fire has marked the Southern California landscape for generations, from indigenous communities to our recent devastating Thomas fire and flood. And while wildfires can be destructive, they also have the potential to be transformative, allowing species and seeds that are normally dormant the opportunity to regenerate. 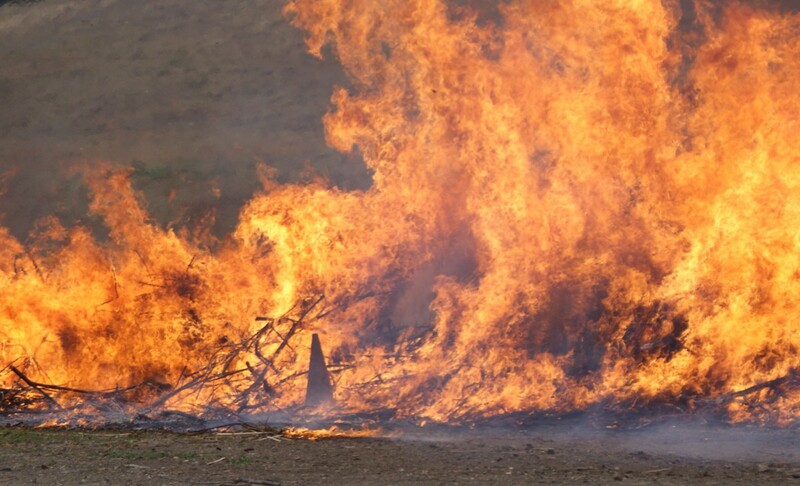 Pyrometric investigates fire through the intersection of art, ecology, and the environment. 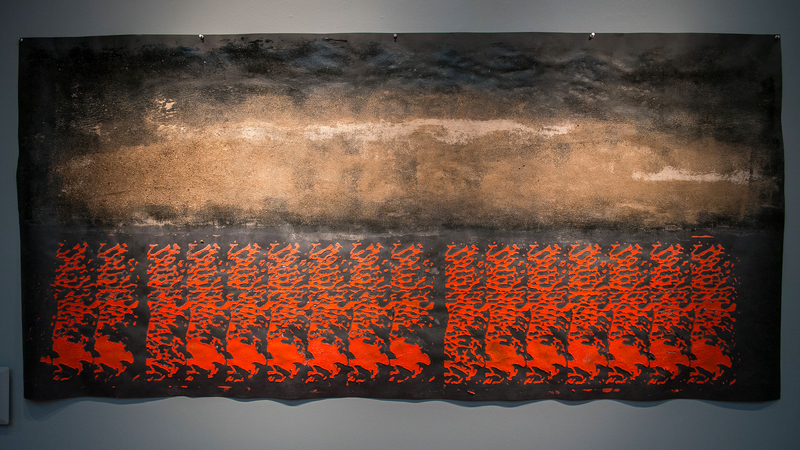 The exhibit includes ceramics such as hand thrown fire cones, ritually fired with the aid of Ventura County Firefighters, who placed the cones in a controlled burn. The artists work with locally-sourced clay and chaparral while using contemporary and ancient techniques, including a Japanese coil building method, nejitate. Other materials include the orange fire retardant dropped from helicopters onto fires, native seeds, pinecones, and ash. “In Japan, the transitional landscapes between villages, agriculture, and mountain forests are called satoyama, where biodiversity and environmental stewardship depend upon human practices and traditions. We see parallels in Southern California, where mixed-use agricultural landscapes suggest ways to connect traditional and new environmental practices. Amiko Matsuo teaches arts and ceramics at Allan Hancock College. She received her BA in art from UCLA and her MFA from the Kansas State University. Her work has been displayed extensively throughout the United States. Brad Monsma is a Professor of English at CSU Channel Islands. He received his masters and Ph.D. in English and American literature at USC. His writings and poems have appeared in numerous anthologies, and his book, The Sespe Wild: Southern California’s Last Free River, was published by the University of Nevada Press. Matsuo and Monsma also collaborated on the translation of Art Place Japan: The Echigo-Tsumari Art Triennale and the Vision to Reconnect Art and Nature, Princeton Architectural Press, 2015.